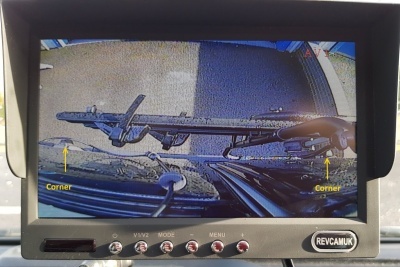 This reversing camera fits the Ford Trannsit Custom with barn doors up to May 2015. It replaces Ford Part Number 1816872. 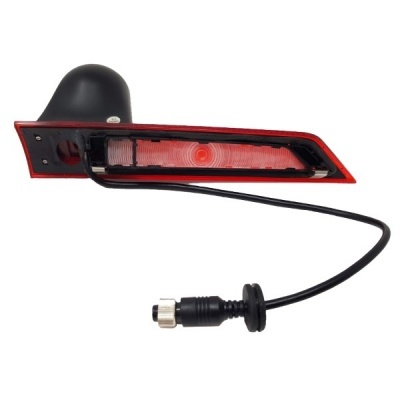 This version uses a bulb to light the brake light. The camera has a 700 TVL Sony CCD sensor and produces a PAL format signal. 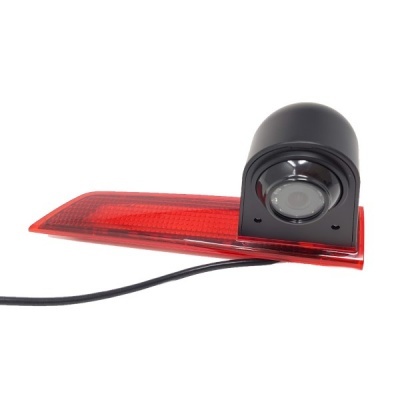 The camera has IR LEDs to assist with night vision. The photograph of the monitor shows the camera in use during the day. We do not have a Ford Transit Custom so this is our attempt to reproduce what you might see. We have added arrows in yellow to show where the corners of our vehicle are. This shows you would get to see the full width of your van. The 700 TVL CCD sensor gives a good detailed colour image during the day.